In this class, there will be fantastic music playing in the background while you utilize the ballet barre to perform small isometric movements. These movements will give you a total body workout that will tone your thighs, abs and arms in record-breaking time. Please plan to arrive 10-15 minutes prior to the class start time for first visit, no late entry is permitted. Proper attire is pants, socks and a shirt that covers your midriff (no shorts, please). Socks (that cover the toes) are required. Pure Barre sticky socks are available for purchase at the studio. Doors are locked at the start of class, and late entry will not be permitted. 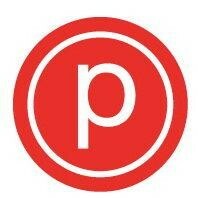 Pure Barre has a studio policy that you may not take more than one class there per day. Paige is amazing as always!!!! Feel the burn. Great class,The teacher was knowledgable and persistent with corrections to get the most of the work out. Love it!!! Everyone should at least try it once! Challenging, fun and Naz ensures you have the right form. Fantastic class. Low impact but a serious workout. Amy is upbeat, encouraging, and attentive. She is very attentive and helpful with correcting form. Class was very challenging. Some moves when the teacher didn’t demo and just told us what to do, it was a bit confusing. Thank you for the warm welcome! ??? ?